The Arena and Convention Centre Liverpool (ACC Liverpool) is a multipurpose events and convention venue located on the former Kings Dock here in Liverpool. Although one single entity, the ACC is split between the 11,000-seat Echo Arena and the BT Convention Centre. Both are superb venues and I've worked there extensively since it opened. The ACC Liverpool became even larger with the opening of Exhibition Centre Liverpool in 2015 which will be connected to the main complex via a sky bridge. 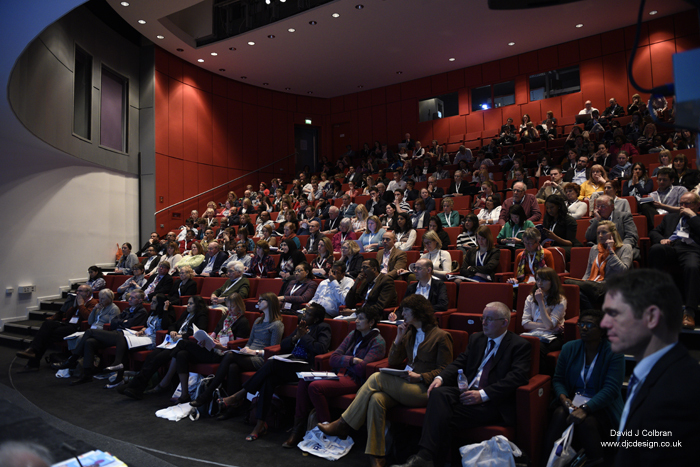 A couple of weeks back I was there again for the annual conference of the Royal College of Paediatrics and Child Health (RCPCH) - so it was a very busy three days with many different experts and practitioners from across the NHS and health sector. The brief was excellent - the marketing team had thought through what was happening over the event and the sort of images they required. Not only for this event, but also to promote for future conferences. This combined with my knowledge and local experience of the venue and breakout rooms meant that they got a wide selection of images. We even found time to get some staff headshots done, in between activities. A sample of my work is below. Please don't hesitate to get in touch for a quote, if you and your organisation are looking for a Liverpool conference photographer. I am professional, reliable, covered by public liability insurance and a member of the National Union of Journalists and more than happy to have a chat on the phone.